About - RESEARCH. DESIGN. DEVELOP. Our team thrives in a fast-paced and exciting environment where history is being made. If you desire to expand your career and experience with a forward looking and dynamic company, we welcome you to send us your resume. Please submit a resume by email to info@rddent.com or drop it off in person at our Redmond address. RDD exists to glorify God by providing unmatched quality of service and safety to our customers. RDD is a Research, Design & Development group with a rich heritage serving the aviation community. Located in the Northwest United States, RDD is proud to have been selected to help achieve aviation goals for a wide range of customers, from individuals to large corporations. Collectively, the RDD team has extensive experience with both Experimental and Certified aircraft in the areas of research, design, development, modification, fabrication, construction and customer support. Aviation is our passion and our enthusiasm is contagious. RDD researches, designs and develops aircraft systems that not only perform a function but outperform competitive systems. Having built aircraft ourselves and for ourselves, we know the constraints and the inherent challenges associated with building an aircraft. But more importantly, We strive for perfection and work tirelessly to provide only the most efficient, most elegant and most desirable products available. Our commitment to customers is that RDD products will only be introduced after they have been fully tested and proven. RDD also provides technical support for the installation process and customer support for the products we manufacture. It is our passion to provide the best designed products on the market. We recognize that you have a choice in the products you purchase and it is our pleasure to treat you as the valued-customer that you are to RDD. The Story of Flight has always been a blending of the relationship of science and art. 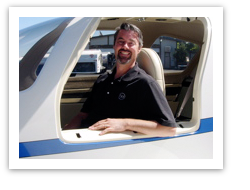 Mark Mahnke has been working with high performance aircraft since 1990 and believes that relationship is key to the creation of exceptional aircraft. 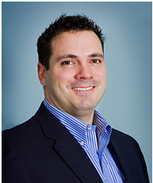 Eric is an innovative, results-driven leader with broad-based expertise in operations, strategic planning and business development. Eric holds a Bachelor of Science degree in mechanical engineering from The Ohio State University and a dual Master of Science degree in mechanical engineering and management (MBA) from the Massachusetts Institute of Technology. With 20 years of diverse industry and functional expertise in executive and director level positions, he has lead organizations through significant growth, diversification, subsequent mergers, and acquisitions activities. He brings not only Fortune 100 corporate experience with Johnson Controls Inc., Honeywell Aerospace, Boeing Space and Communications, but also significant entrepreneurial success leading companies like Ryan International, Avidyne Corporation, and S&G Manufacturing Group. Eric has also built and flies his own Lancair Legacy aircraft.